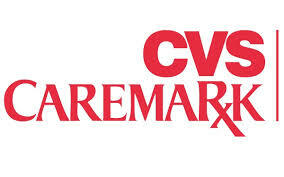 The pharmacy benefit management company (PBM) operated by CVS Caremark Corporation will pay $6 million to settle whistleblower allegations of fraud. Whistleblower Donald Well, a former manager at Caremark LLC, accused his former employer of knowingly failing to reimburse Medicaid for prescription drug costs paid on behalf of “dual eligible” Medicaid beneficiaries. A person is considered “dual eligible” when they are covered by both Medicaid and a private insurer. Under federal law, private insurers assume the cost of health care for dual eligibles, not Medicaid. In the event that Medicaid pays for the prescription claim of a dual eligible, Medicaid is entitled to seek reimbursement from either the private insurer or its PBM, which administers and manages prescription drug benefits under a private insurer’s health plan. According to Well, Caremark’s billing platform improperly deducted co-pays and deductible amounts when calculating prescription drug payments for dual eligibles. The lawsuit claims that this caused Medicaid to pay for prescription drug costs for dual eligibles when Caremark should have been footing the bill. Well discovered the billing irregularities when performing an audit on Medicaid claims. He worked at Caremark between 2001 and 2006. According to the Justice Department, Well will receive a little over $1 million plus interest for his role in exposing the fraud. This entry was posted in Healthcare Fraud, Medicare Fraud on September 29, 2014 by Mark Schlein.